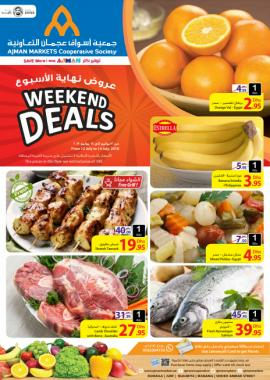 Ajman Markets Cooperative Society Weekend Offer. Offers valid from 4th to 6th April, 2019. 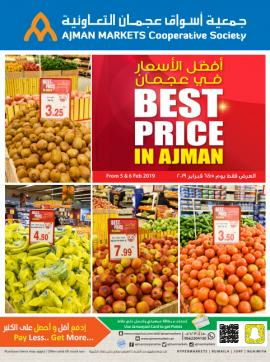 Ajman Markets Cooperative Society Weekend Offer. Offers valid from 14th to 16th March, 2019. 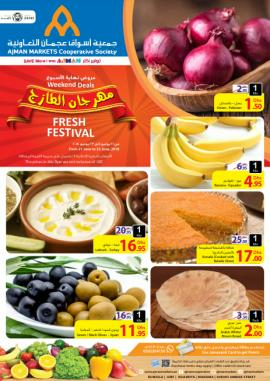 Ajman Markets Cooperative Society Weekend Promotion. Offers valid from 14th to 16th February, 2019. Ajman Markets Cooperative Society Weekend Promotion. Offers valid from 7th to 9th February, 2019. 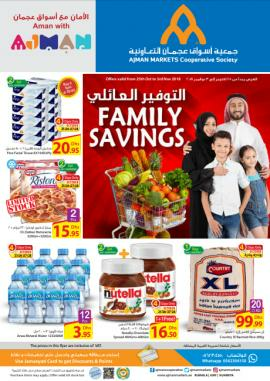 Ajman Markets Cooperative Society - Midweek promotion. Valid on 5 & 6 February 2019. 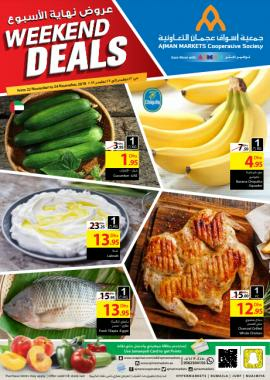 Ajman Markets Cooperative Society - Weekend Deals. Offers valid from 10th to 12th January, 2019. Ajman Markets Cooperative Society Weekend Promotion. Offers valid from 20th to 22nd December, 2018. 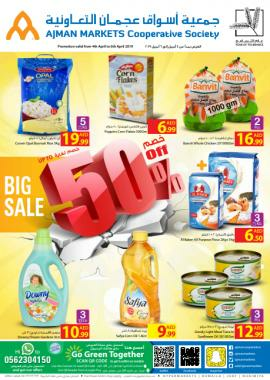 Ajman Markets Cooperative Society Weekend Deals. From 13th to 15th December, 2018. 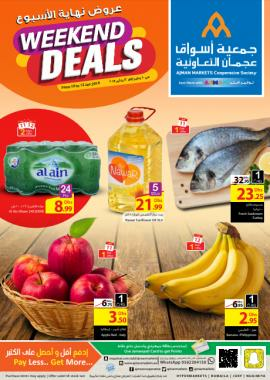 Ajman Markets Cooperative Society - Month End Promotion. Offers valid from 28th November to 8th December, 2018. 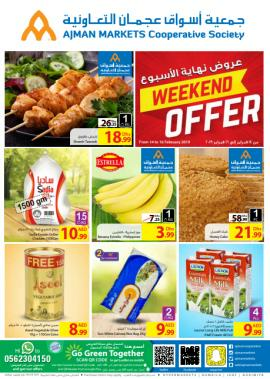 Ajman Markets Cooperative Society - Weekend Deals. Offers valid from 22nd to 24th November, 2018. 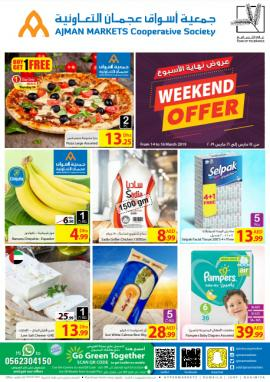 Ajman Markets Cooperative Society - Weekend Deals. Offers valid from 15th to 18th November, 2018. 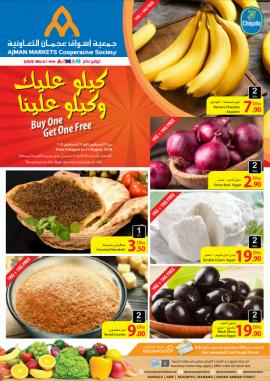 Ajman Markets Cooperative Society - Midweek promotion. 13th November 2018 only. 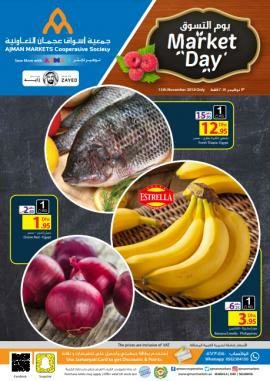 Ajman Markets Cooperative Society - Month End promotion. Offer valid from October 25 to November 3. 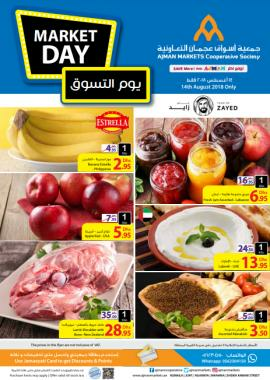 Ajman Markets Cooperative Society - Weekend Promotion. Offer valid from 18th to 20th October 2018. 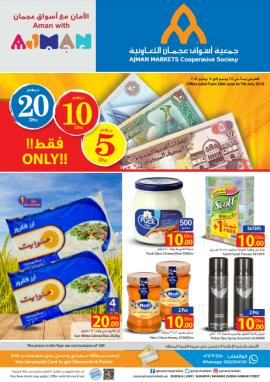 Ajman Markets Cooperative Society - Midweek promotion. Only for 25th September 2018. 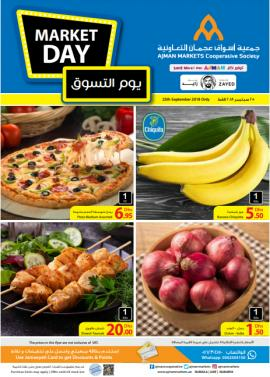 Ajman Markets Cooperative Society - Back to School offer. Offer valid from 30th August to 11th September 2018. 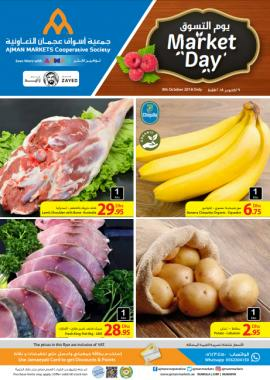 Ajman Markets Cooperative Society - Midweek Promotion. Only for 14th August 2018. 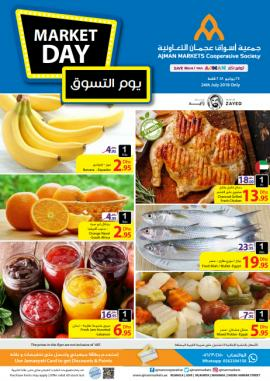 Ajman Markets Cooperative Society - Weekend Promotion. Offer valid from 9th to 11th August 2018. 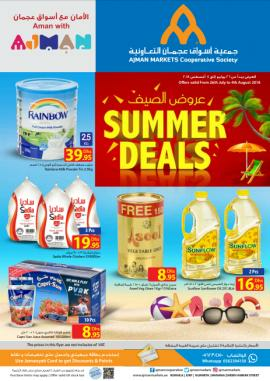 Ajman Markets Cooperative Society Summer Deals. Offer valid from 26th July to 4th August 2018. 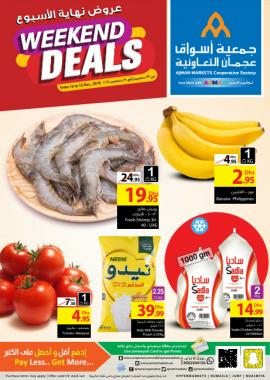 Ajman Markets Cooperative Society - Midweek promotion. Offer valid only on 24th July 2018. 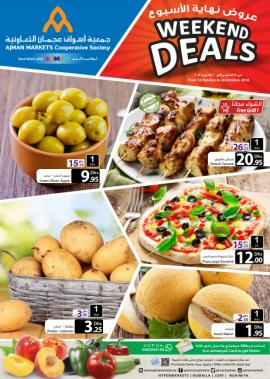 Ajman Markets Cooperative Society - Weekend Deals. Offers valid from 12th to 14th July, 2018. 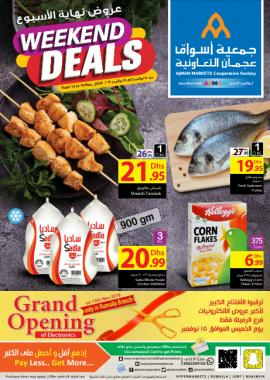 Ajman Markets Cooperative Society - Month End promotion. Offers valid from 28th June to 7th July, 2018. 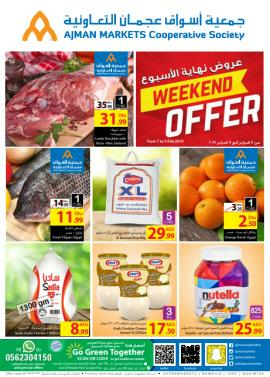 Ajman Markets Cooperative Society - Weekend promotion. Offers valid from 21st June to 23rd June, 2018. 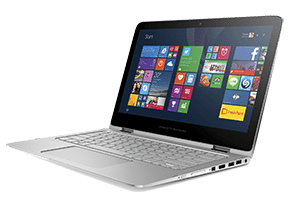 Get all information about Ajman Markets Cooperative Society offers, Ajman Markets Cooperative Society Special Offers, Ajman Markets Cooperative Society promotions, Ajman Markets Cooperative Society catalogue, Hypermarket offers and Supermarket offers by browsing through TomatoSALE.